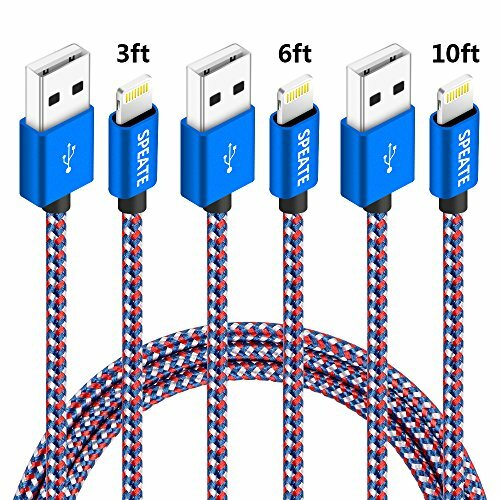 FASTER CHARGING & SYNC: High-quality Copper Wire and Nylon Braided reduced charging cable resistance enable iPone cable to provide the fastest possible charge via any USB charger. 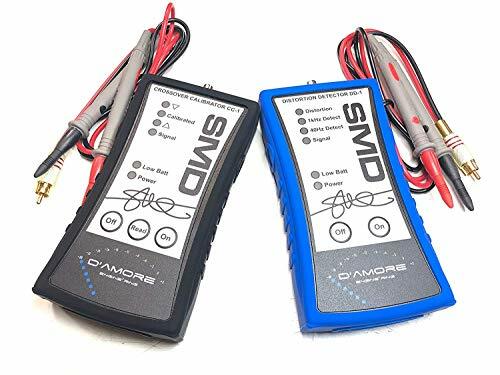 Sync and charge at the same time at the fastest speeds on your windows PC or Mac. 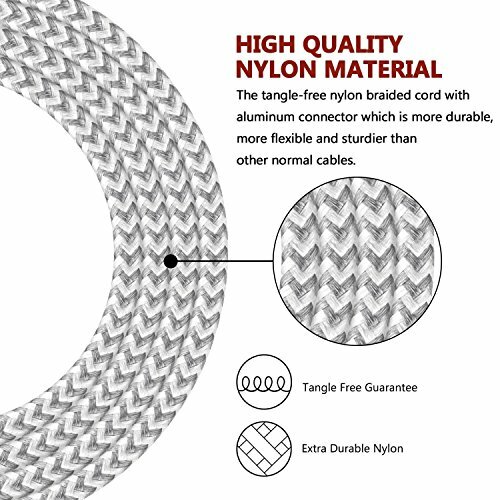 INCREDIBLY DURABLE DESIGN: Aluminum shell and Tangle-free nylon braided jacket build the lightning cable more sturdy, It is flexible pull-resistant, softer, lighter, more durable than original device cables. 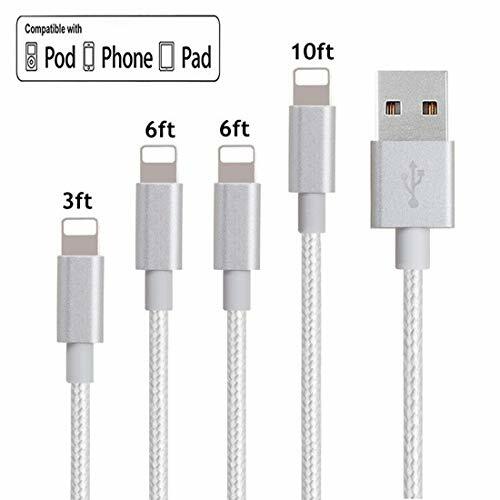 COMPATIBLE WITH: iPhone X, iPhone 8, iPhone 7 / 7 Plus, iPhone 6s / 6s Plus, iPhone 6 / 6 Plus, iPhone 5 / 5s / 5c / se, iPad Pro, iPad Air 1 / 2, iPad mini 1 / 2 / 3, iPod nano7, iPod touch and more apple devices. 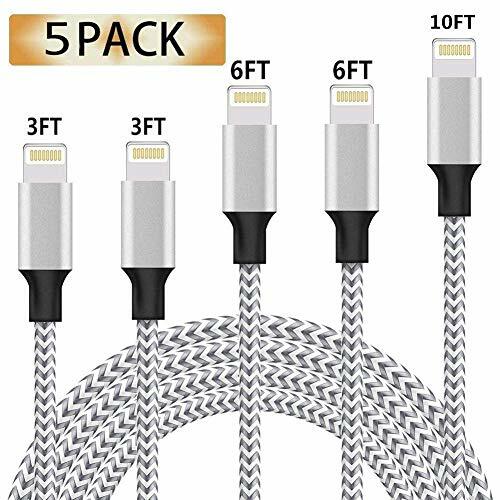 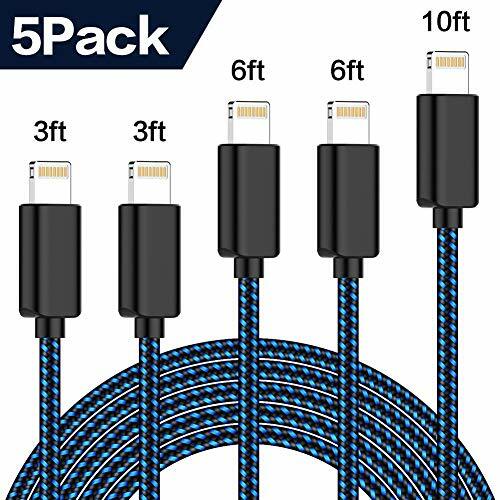 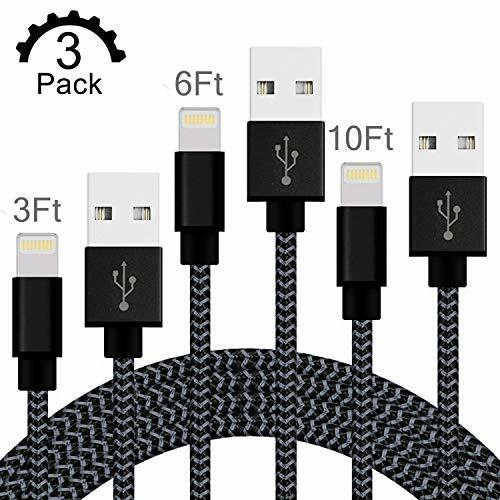 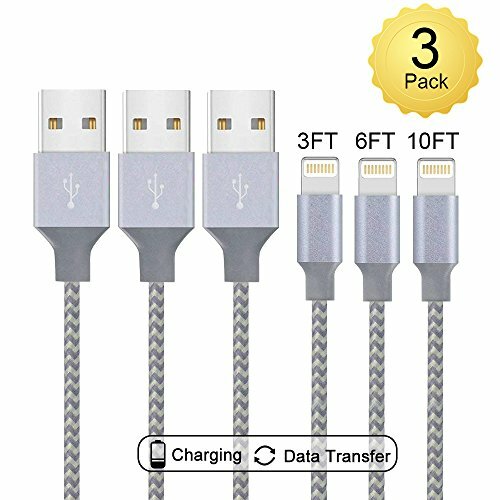 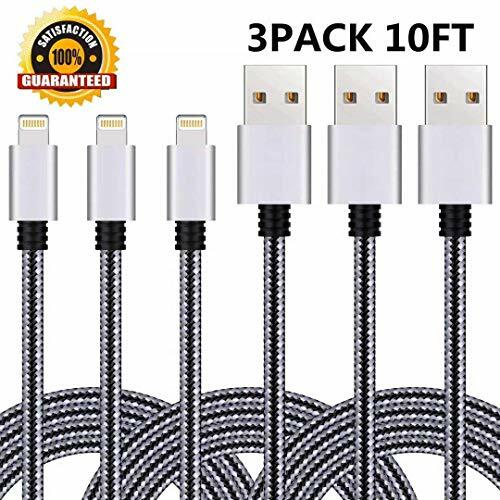 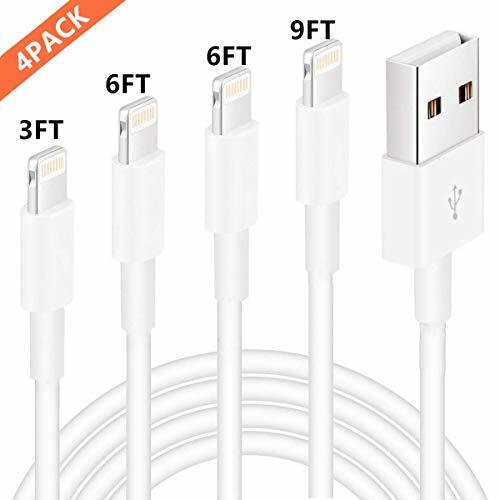 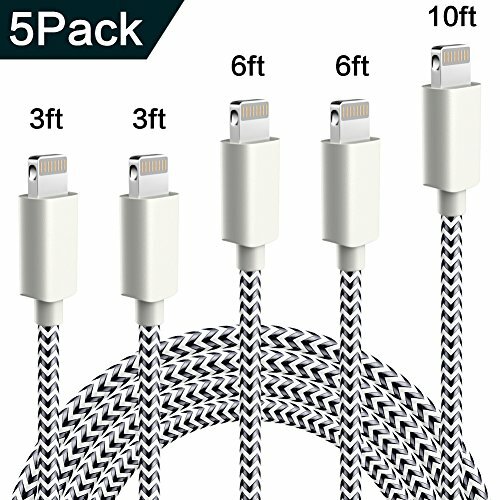 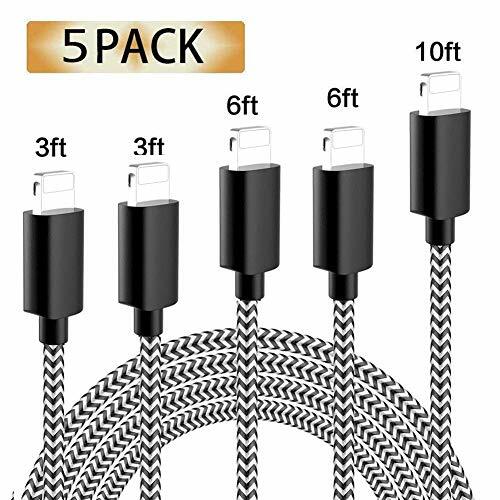 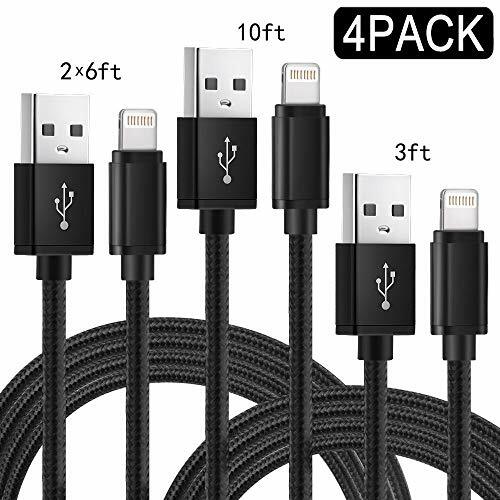 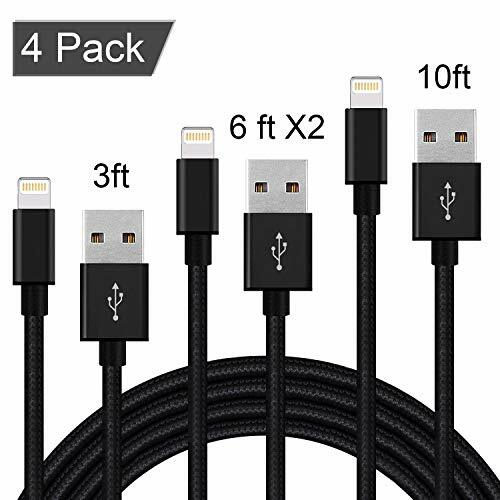 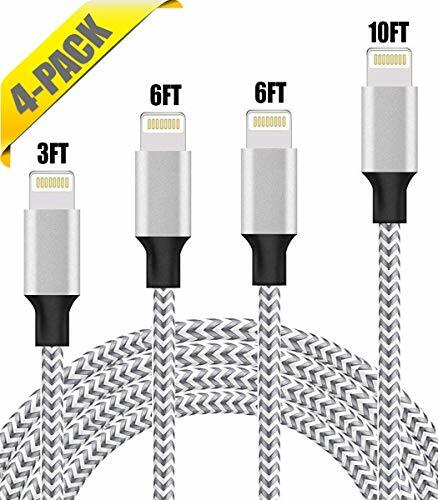 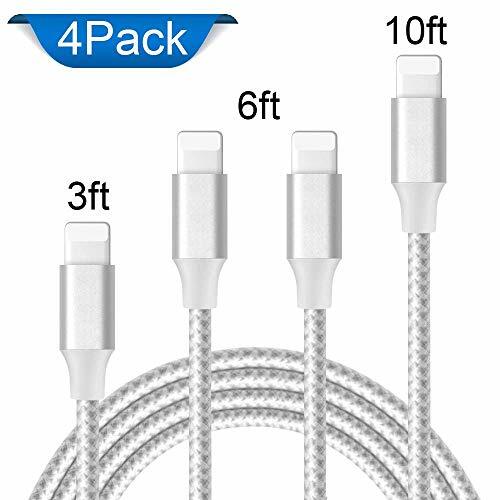 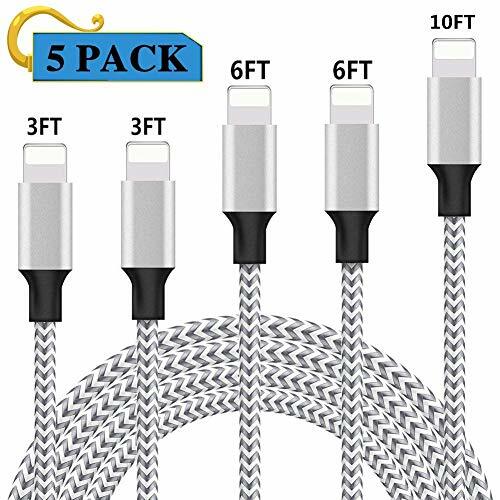 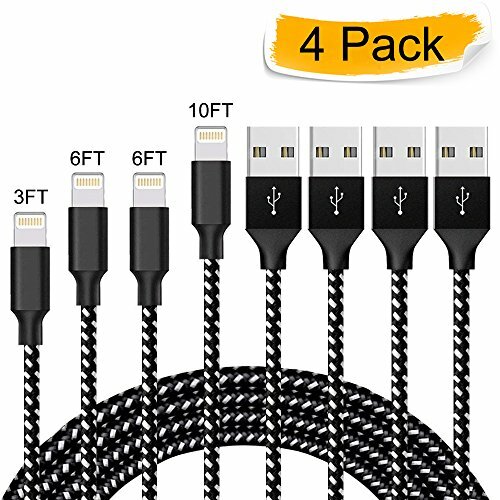 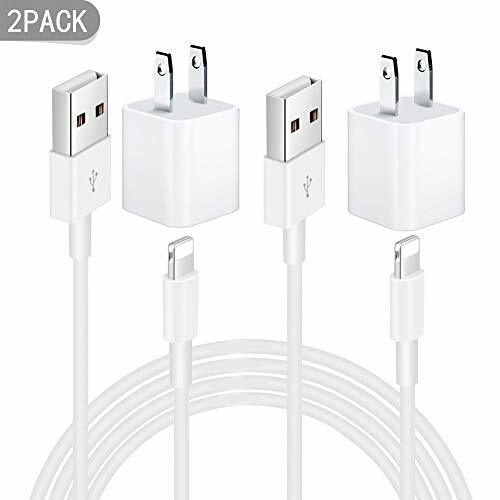 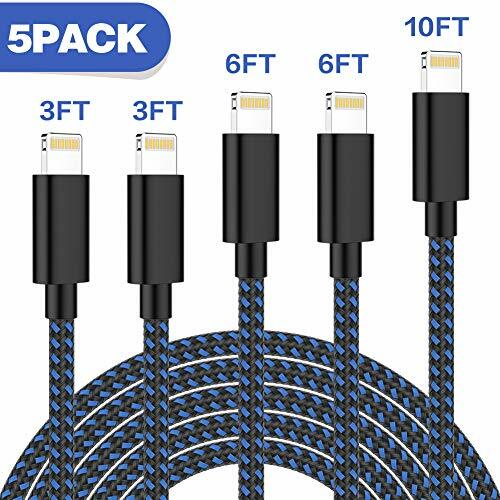 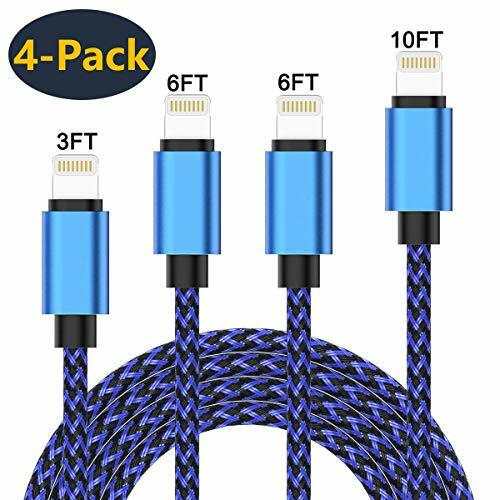 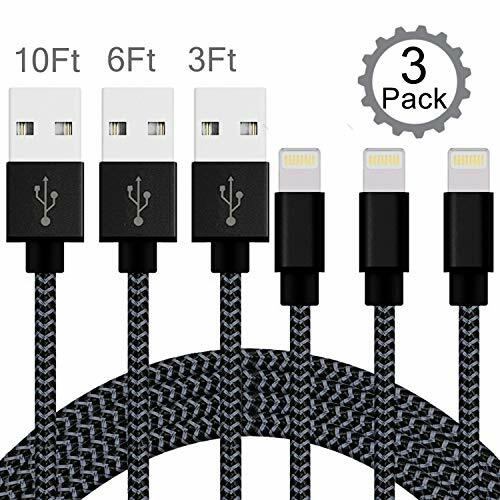 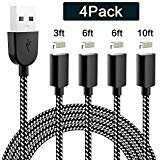 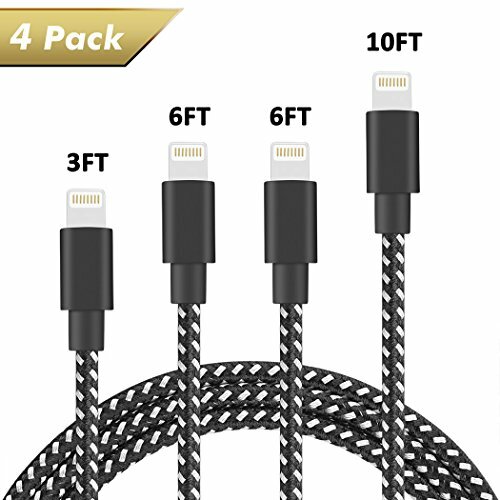 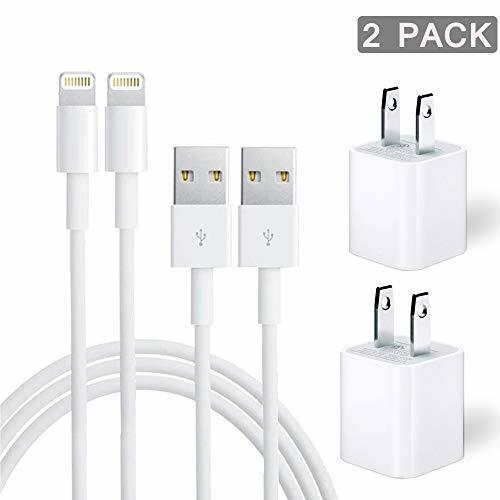 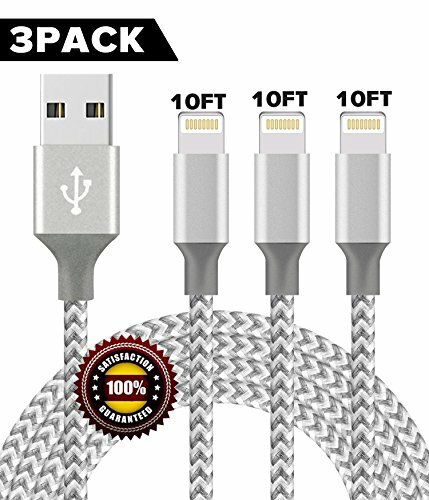 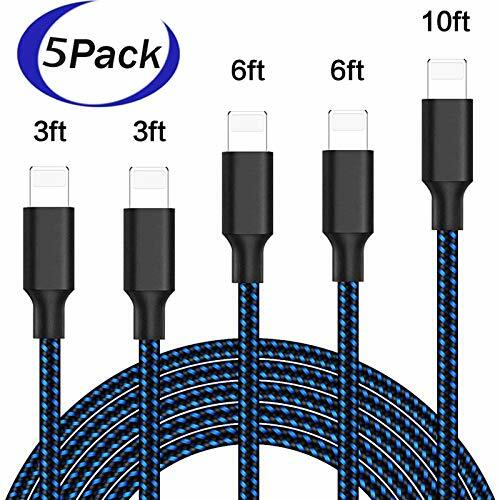 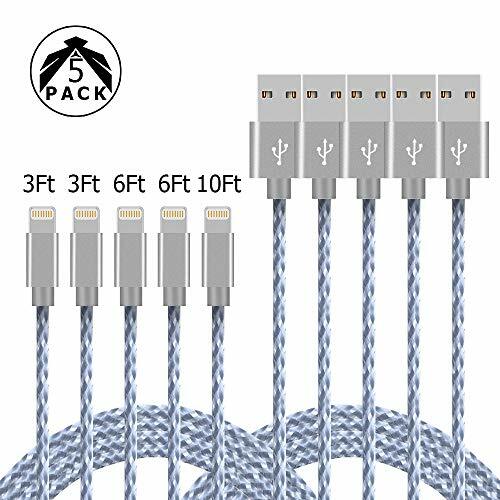 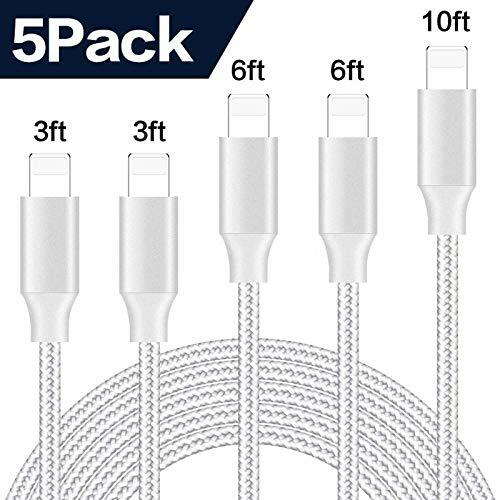 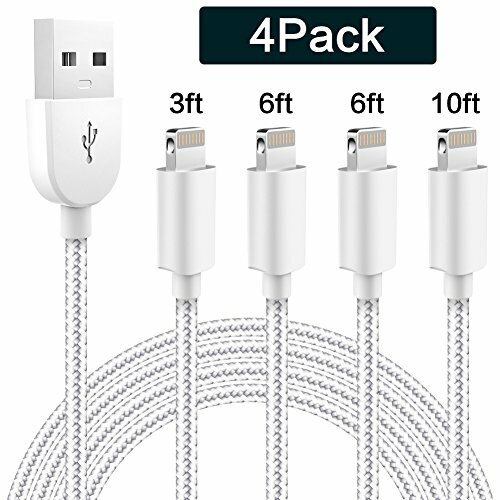 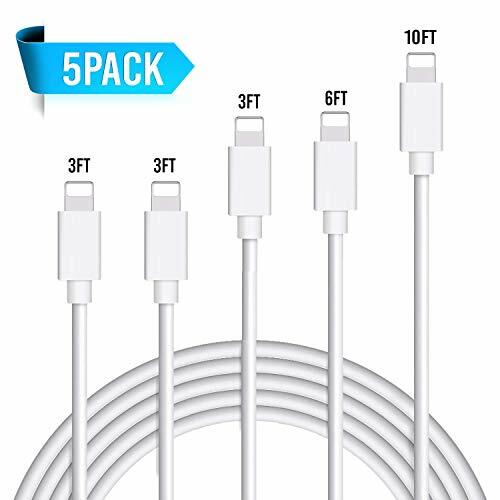 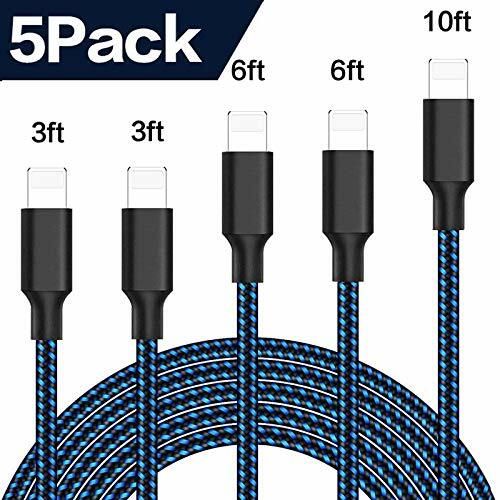 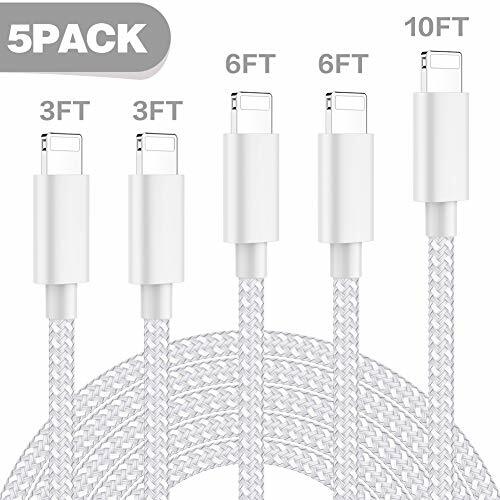 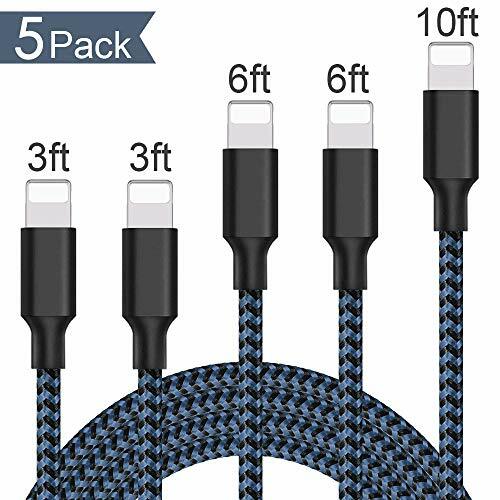 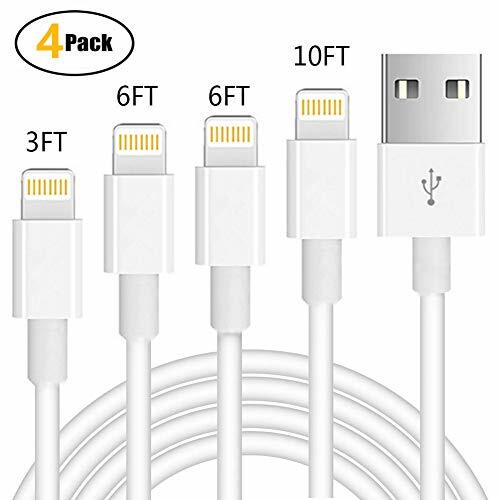 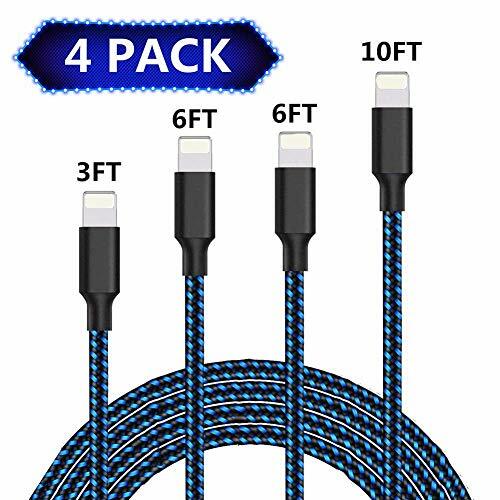 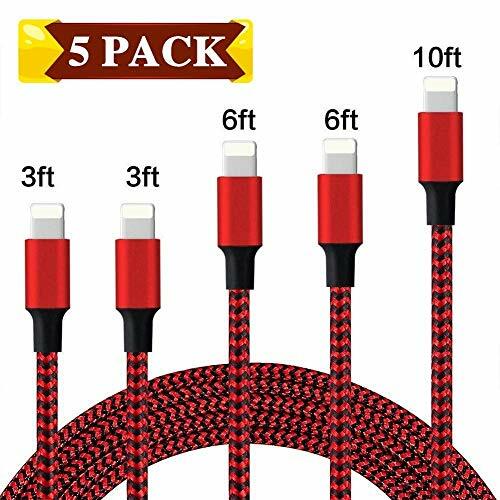 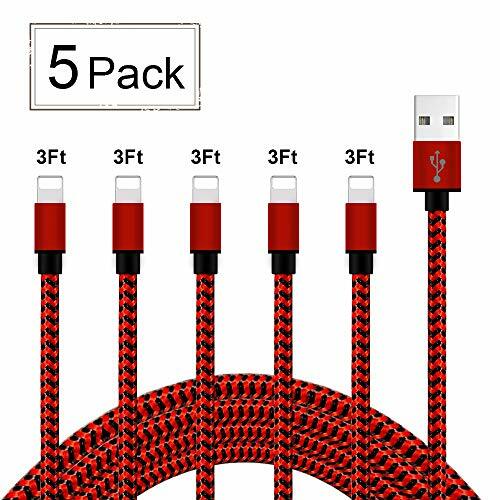 SUFFICIENT LENGTH: 3PCS 10FT Nylon Braided Lightning Cable is enough for charging your iPhone, iPad on the bed, on the sofa, or in the office from long distance.